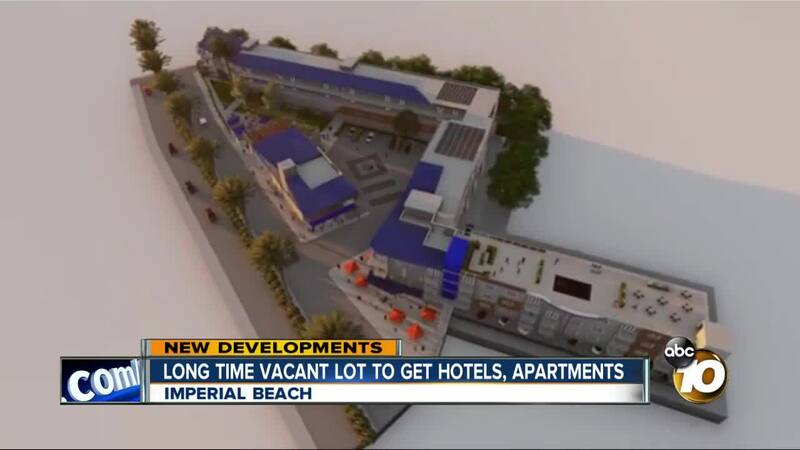 IMPERIAL BEACH, Calif. (KGTV) - A plan to build hotel rooms and apartments in Imperial Beach is one step closer to happening. The Design Review Board unanimously decided to move the plan to city council Thursday. The development is planned for an empty lot on 550 Highway 75. It will be a four-story development with 51 hotel rooms and 47 apartments. Developers say there’s a need for hotel rooms in the area. People living in the area raised concerns about impacts to the area, like noise and traffic. The design review board asked developers for look for ways to mitigate those concerns. If the plan gets the city council’s approval, developers say they could start construction by mid to late summer.